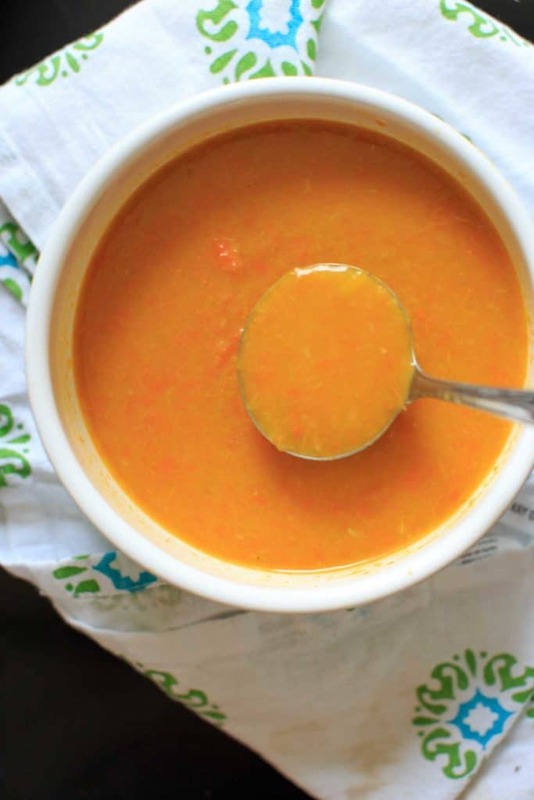 Carrot Leek Soup – one pot meal ready in 30 minutes. Super flavorful and healthy vegetable meal! 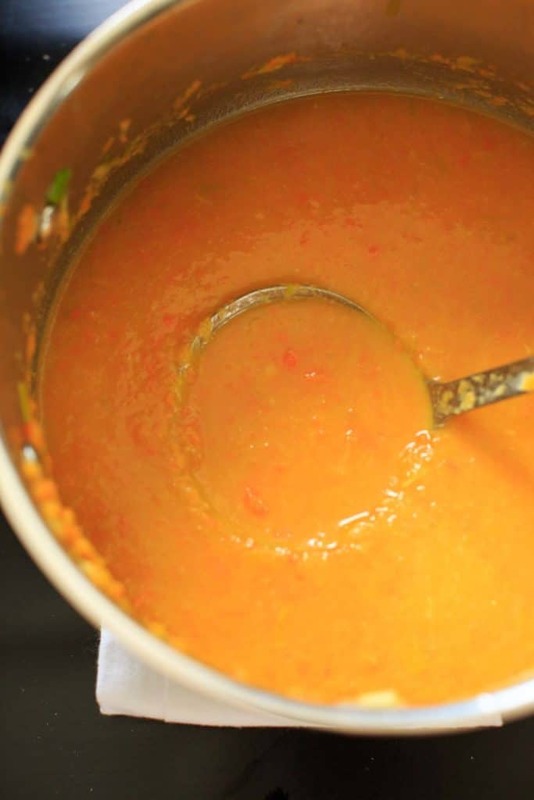 Hey, it’s my first soup recipe I’ve posted that doesn’t have apple in it! It’s another meal that was born while attempting to save vegetables from rotting in my fridge. Usually before I go away on a trip of any kind, I somehow end up buying way more food than I can consume in that time frame. This last time, I purposely did not let myself go to the grocery store for two weeks beforehand. Except to get one or two items as needed. But still, the day before I was set to leave I was realizing I neglected to use a bag of leeks, among a few other things. I also had a bag of baby carrots, and figured now was as good a time as any to make carrot + leek soup! My mom makes variations of leek soup all the time, and I always really like it. Leeks are like onions but have a milder flavor, and are good with potato and mushrooms. And carrots. 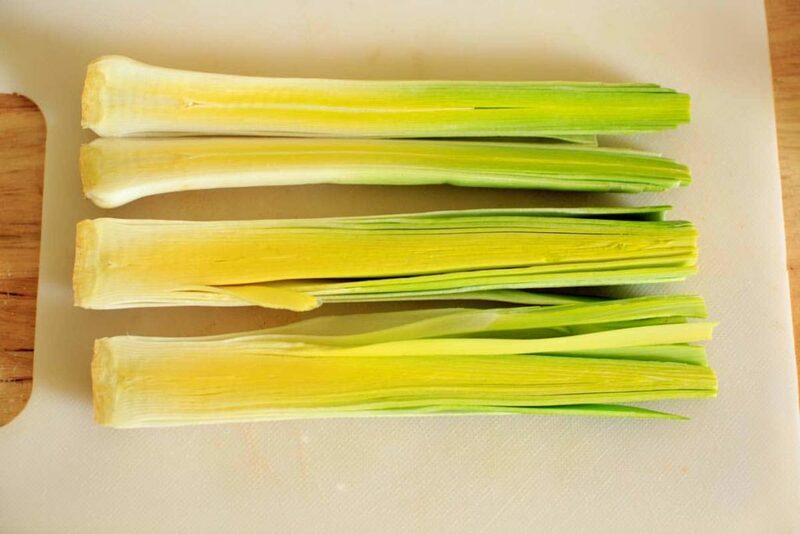 The thing with leeks is that they can be pretty dirty when bought whole at the store. Somehow, I find the packages of leeks at Trader Joe’s (which are pre-trimmed) are perfectly clean. But you’ll want to cut them lengthwise to check for dirt and clean if necessary. Depending on how thick you like your soup, you might prefer more or less liquid than my recipe calls for. 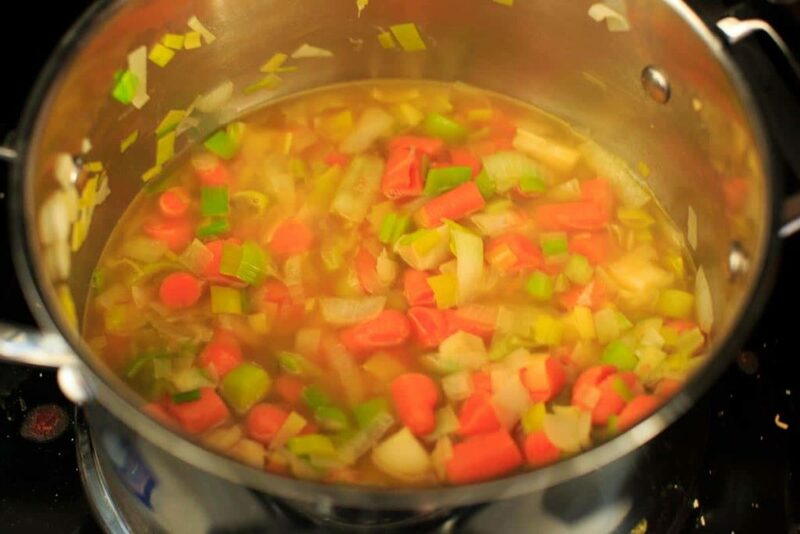 I like to add just the vegetable broth while cooking, and then add the water as it’s cooking down and after using the immersion blender to get the desired result. The soup is pretty flavorful on its own, but I also added cumin to spice it up a bit. Other spices that go well with leeks are tarragon, thyme, and sage. 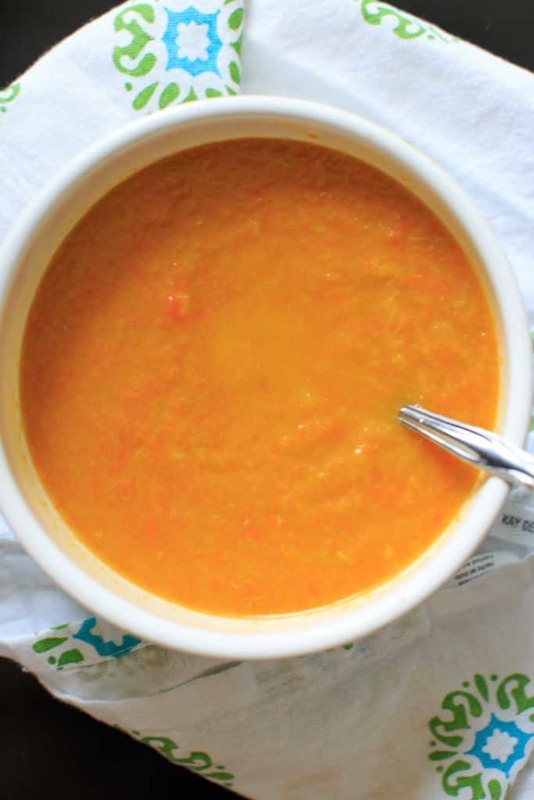 Carrot and Leek Soup - one pot meal ready in 30 minutes. Super flavorful and healthy vegetable meal! *The soup is pretty flavorful on its own, but I also added cumin to spice it up a bit. Other spices that go well with leeks are tarragon, thyme, and sage. To make it SPICY, add red pepper flakes! 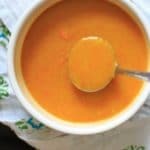 I had carrot leak soup for the first time at a restaurant in Detroit Lakes,MN & it was amazing with a little fiery kick to it. Our waitress said it had red chili pepper in it. So so yummy. Led me to do a search which brought me to your recipe which I plan to try after I return home. I love that idea to make it spicy! I added it as a note in the recipe if you want to give it a kick.